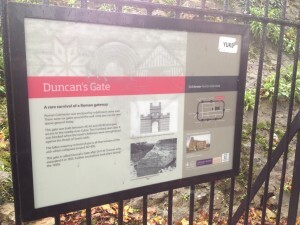 Erected on the railings next to Duncan’s Gate by the Friends with the support of the Friends of Castle Park. Great news! The Friends have won their first battle to improve the setting of the Roman Wall. The Government Planning Inspector has upheld the Discontinuance Notice served by Colchester Borough Council on the advertising company JC Decaux. Decaux will now have to remove the advertising hoardings along Middleborough. The Inspector ruled that the hoardings were damaging the wall – a scheduled ancient monument. 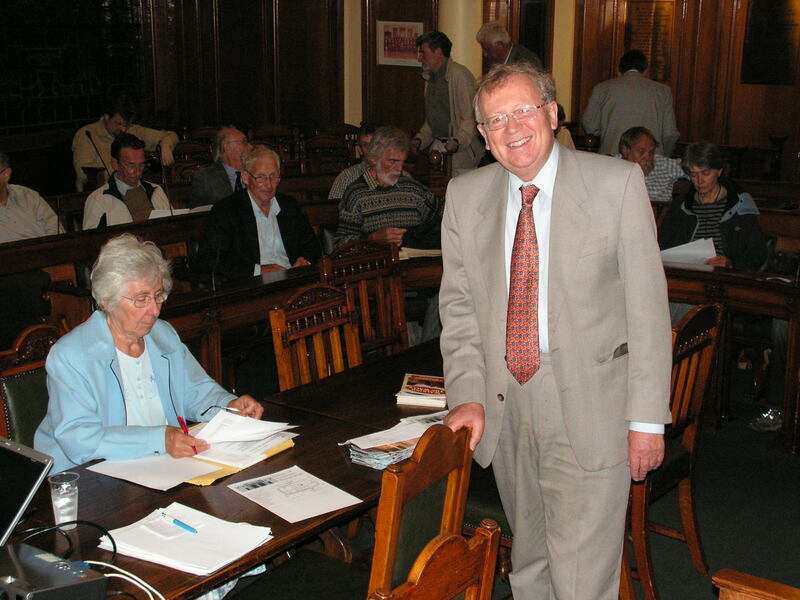 He also said he was surprised the Discontinuance Notice hadn’t been issued long ago. Jess Jephcott, owner of the Camulos website, has produced a new leaflet as a guide to the wall. You can download it here and use it as a guide to visiting the Wall. Jess also conducts guided walks of the Wall and you can find details of those here. These are in addition to the walks conducted by the Town Guides, which can be booked here. 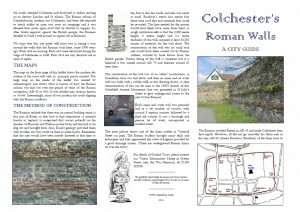 ‘It is part of the vision of the Friends of Colchester Roman Wall to install a chain of thirteen Interpretation Boards around the Wall. That way both local people and tourists can learn more about the history of our fascinating Wall. We will start at Balkerne Gate, the most high profile point on the Wall, where an old Board, well past its sell-by date, needs to be replaced. Boards cost about £1,000 each and we have the funds for this first one. Our aim is to install all of them over a period of about three years. That depends on the number of new Friends we get, other donations and sponsorship of individual Boards by businesses or people near them. The style of the Boards will line up with signage at the Castle in its coming new makeover. The Friends are in consultation with Colchester and Ipswich Museum Services and its graphic designer about this. 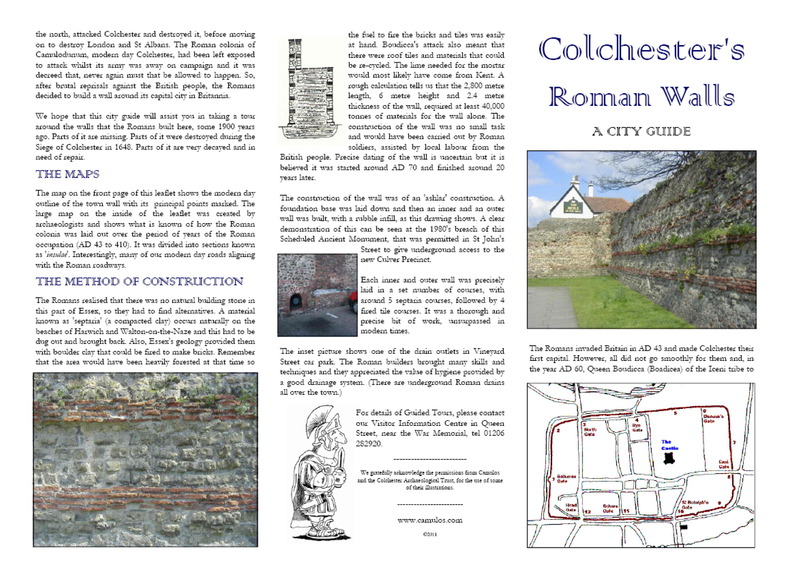 Welcome to the Friends of Colchester Roman Wall. We are a group of local people committed to improving our historic Wall and its setting. We were founded in 2011. Join us!